Most of All; this is what an officer uses to justify an arrest and basically is affirming that there was a reason for the arrest. Furthermore; once determined, it is then turned over to the Judicial Prosecuting Agency to decide if there was adequate reason for the arrest and file a case. In addition; the probable cause statement is also reviewed by a judge when determining and setting bail. First; a judge reviews criminal history to make a determination as to whether or not the accused is a threat to themselves or the public. However; this is also reviewed to determine a criminal pattern such as multiple violations of the same or similar charges. In Conclusion: if a graduation of criminal history is established or there are multiple violations of the same type of crime, a judge can set a higher bail. Since; this was created by the administrative offices of the court to assist the sentencing judge in defining the appropriate fine/ bail in a particular or similar case. 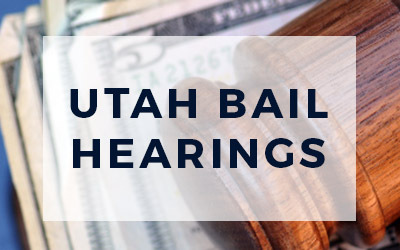 It is used to maintain the same penalties throughout all Utah courts to ensure consistency. Therefore; helps promotes fairness to all accused parties. In Conclusion: Bail is not a constitutional right and only excessive bail is protected under the Eighth Amendment of the Constitution. Judges have judicial discretion based on mitigating circumstances and weigh heavily on the probable cause statement. A bail can be denied if the presiding judge feels that the accused is a danger to the general public or themselves.